Corvara, 30 January 2019 – Once a year life in Corvara becomes truly exceptional. 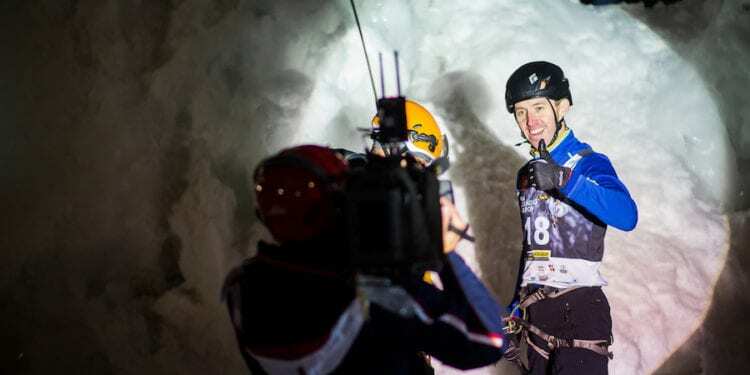 It happens when the best ice climbers in the world come to Alta Val Passiria with the World Cup to fight it out for the stage victory and important points for the overall ranking. This coming Saturday, 2nd and Sunday, 3rd February will be the seventh time for this event. The organisers are ready for the two-day long spectacle. On Tuesday evening the Eisturm Rabenstein was still open to ice climbers from far and near. Until late in the evening, the climbers took advantage of the perfect conditions that have prevailed at the structure for weeks. 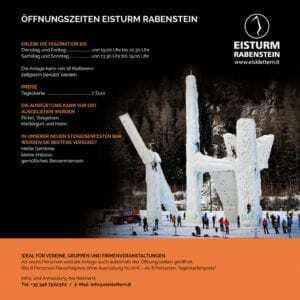 Since Wednesday the most beautiful artificial ice climbing structure in the world has been closed to the public while the club Eisturm Rabenstein ensures that it is suitable for the World Cup. “The ice tower is currently in a sensational condition. The top athletes will find excellent conditions here at the weekend. The experienced route builders ensure that they are pushed to their limits when climbing on the various elements. We are very much looking forward to the event and to many well‑known faces”, Chair of the Organising Committee Reinhard Graf explained. There will be almost 100 climbers from at least 20 countries and three different continents at the start. Among them will be Russians Nikolai Kuzovlev and Maria Tolokonina, the reigning Combination World Champions, who are also in the lead in the overall World Cup ranking. “Mega talent Yannick Glatthard from Switzerland will also try his luck in Corvara. He won his home World Cup stage in Saas Fee last weekend. Three years ago Glatthard had already finished in second place in Corvara”, Graf added. Among the women, the Korean Woonseon Shin put an end to Maria Tolokonina’s winning streak in Saas Fee, ahead of Sina Götz from Switzerland and Han Na Rai Song (also from South Korea). “Shin also has the best memories of Corvara – she was World Champion here in 2015 when she took the title from local athlete Angelika Rainer after an exciting fight,” Chair of the Organising Committee Reinhard Graf explained. The spectators continue to be interested in the Ice Climbing World Cup in Corvara. Hundreds of them come to Val Passiria year after year. They come to experience the best ice climbers in the world close-up and free of charge. 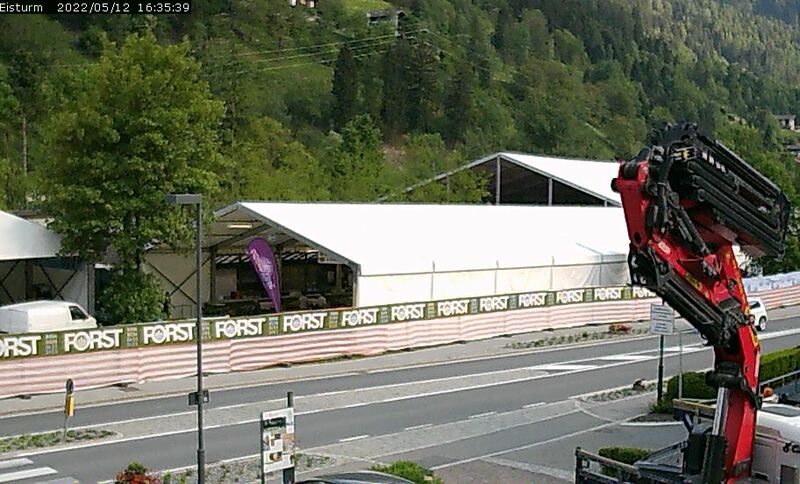 On Saturday the qualification rounds (Lead) start at 9:00. The first victors will be determined in the evening from 7:30 pm in the speed finals. On Sunday the Lead semi-finals start at 8:15 am. The finals start at 1:00 pm. Visitors are also attracted to Corvara by the colourful supporting programme. “This year, it includes the by now traditional beer crate climbing, a show competition of the South Tyrolean logging team, and the legendary ice party with DJ Fill on Saturday from 8:00 pm in the heated marquee”, Reinhard Graf explains. 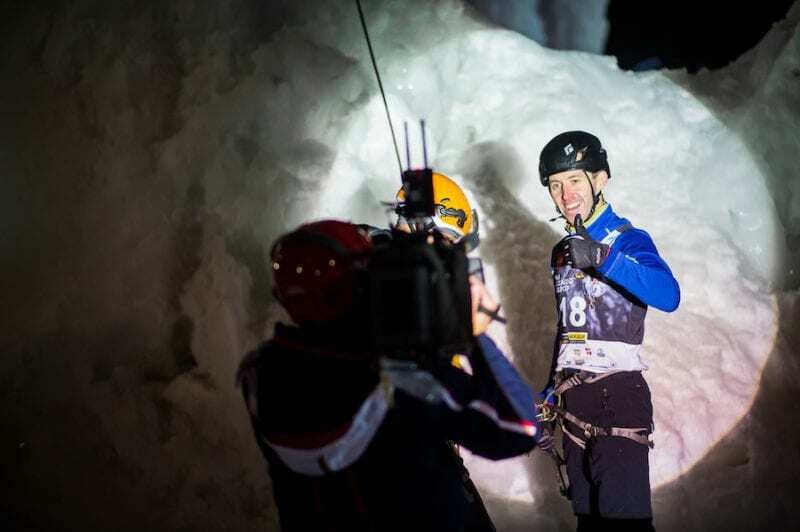 Those who cannot make it to Corvara can still experience the ice climbing World Cup live. 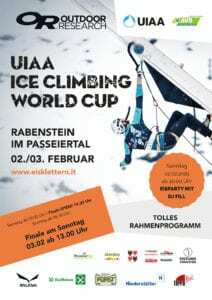 The international association UIAA and the organisers offer a high-quality live stream on the official UIAA YouTube channel (https://www.youtube.com/user/uiaabern) and on the Eisturm Rabenstein website (www.eisklettern.it).